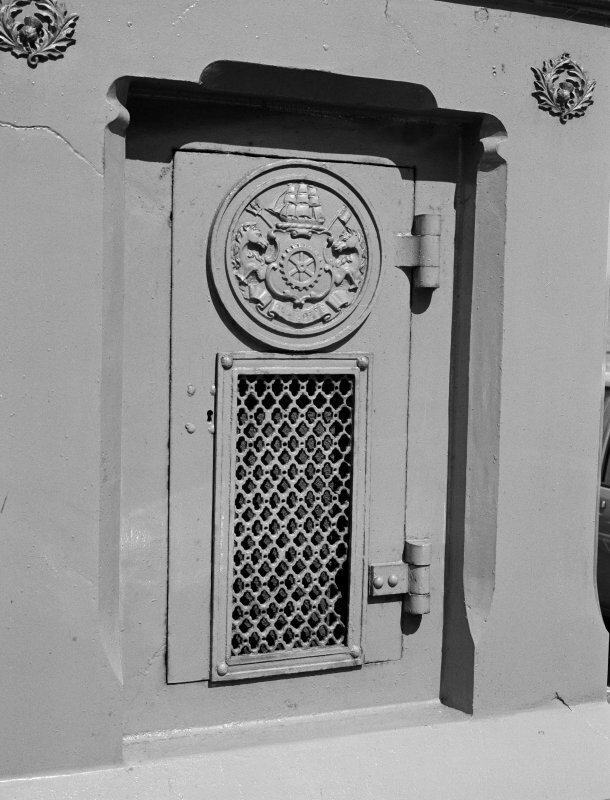 Detail of base of tower including drinking fountain. 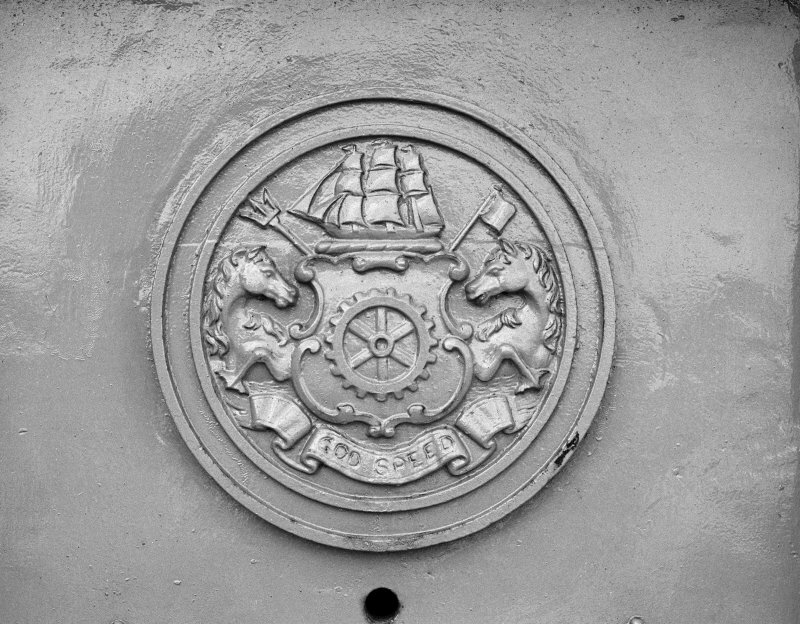 Detail of crest in ironwork. 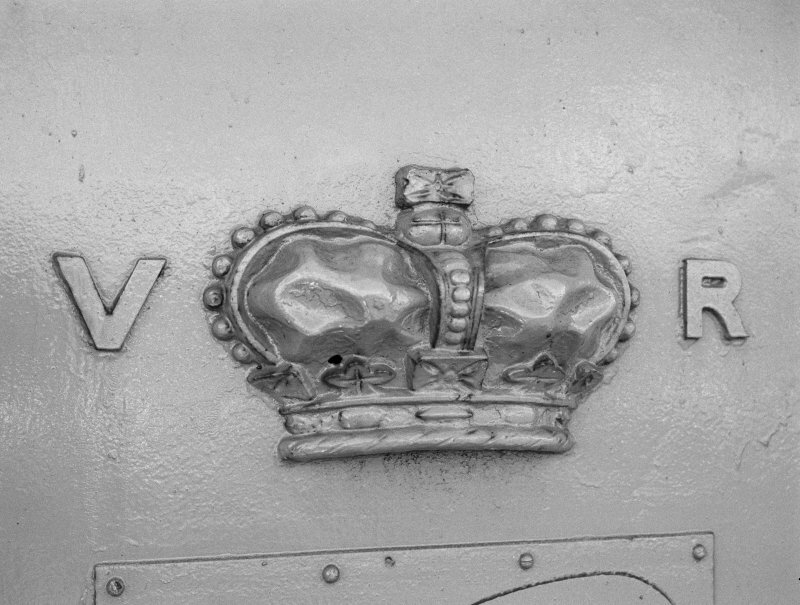 Detail of base of tower access door. NS27NE 98.00 28405 76180 Custom House Quay. 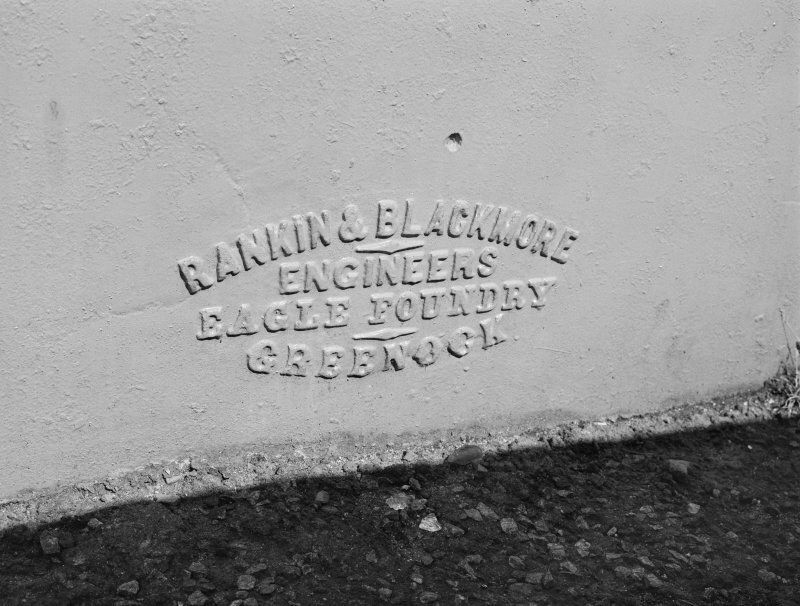 (Greenock 1: location cited as NS 283 762). On Steamboat Quay: William Clark, 1868. 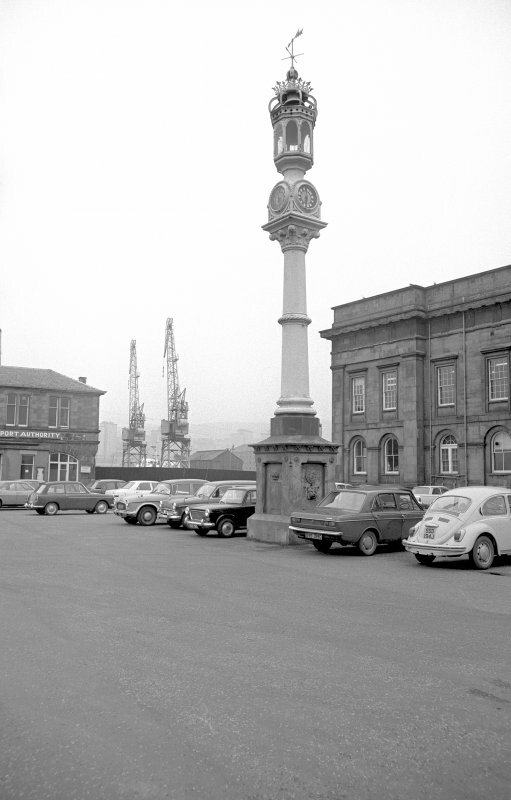 Elaborate cast- and wrought-iron column, replicating Greenock 2. Base square in plan with panelled sides and basins on E and W faces. Reduces to octagon, then to tapering circular-section modified Corinthian column. This is surmounted by clock, with octagonal lantern above, in Gothic style, with crown belfry, ball finial, and weathervane. Moved a few metres E in 1992. Photographed as record update by the Listed Building Area Survey. 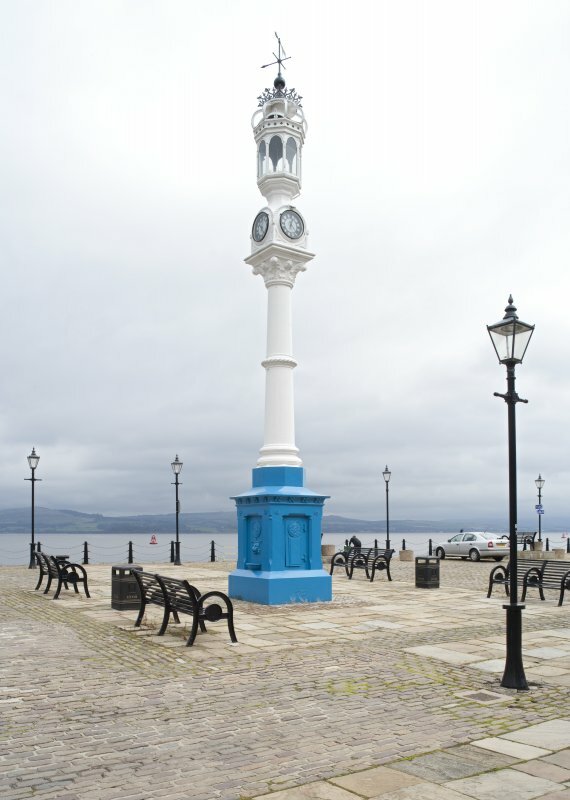 The clock tower situated at Custom House Quay, 30m NW of the Custom House, was designed by William Clark and made for Greenock Harbour Trust around 1860. 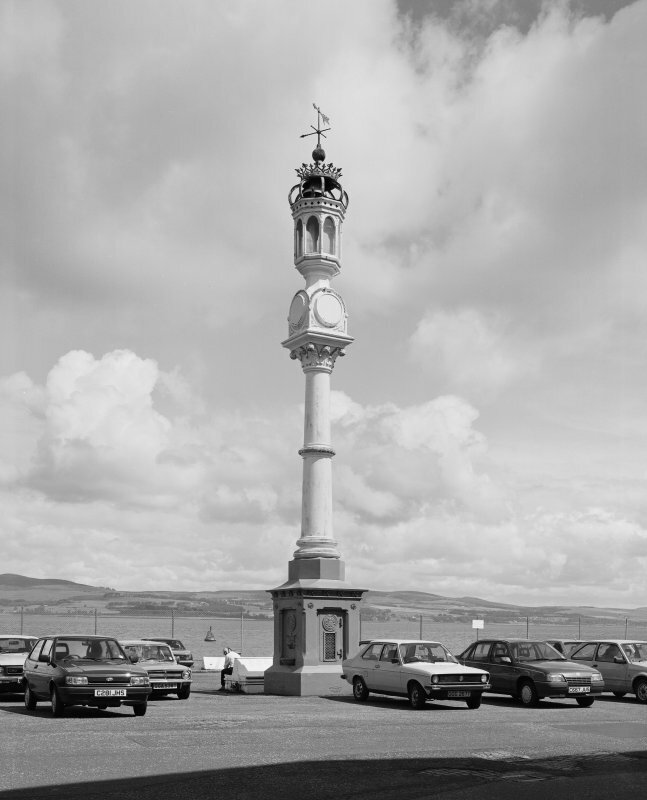 Scotland’s most elaborate harbour light, it has a square in plan cast iron base incorporating a drinking fountain with opposing lion’s head faucets and basins, supporting a Corinthian column, with central rope-moulded band. The column supports a 4-faced clock above which sits an octagonal lantern with crown belfry, ball finial, and weathervane. 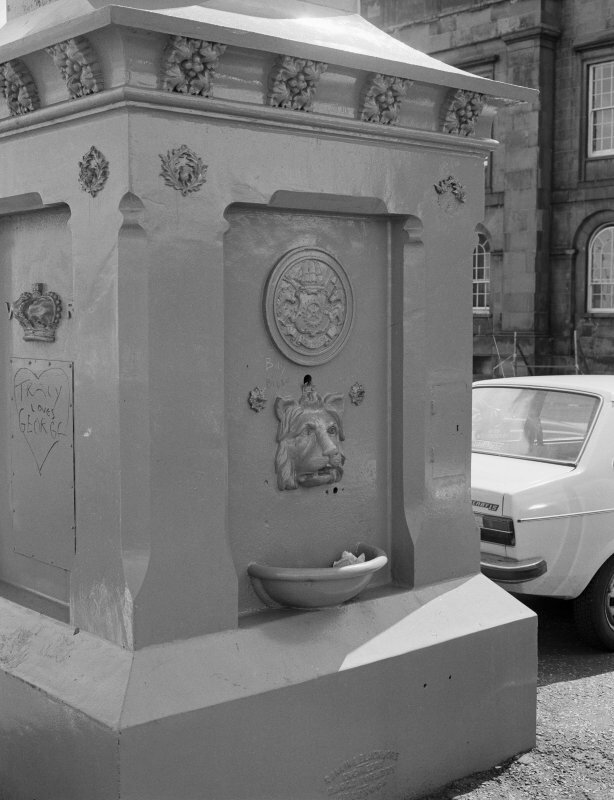 The light is annotated ‘D.F.’ - Drinking Fountain, on the 2nd edition of the OS 25-inch map (Renfrewshire 1897, Sheet 002.06). Information from HES Survey and Recording (AMcC) 1 September 2017.